The movie really did matter: The Obama administration dishonestly skirted responsibility for the murder of four Americans in Libya by claiming that the attack was a protest that got unpredictably out of hand against the "Innocence of Muslims" video. In response, leading analysts have concluded that the video hardly mattered anywhere. 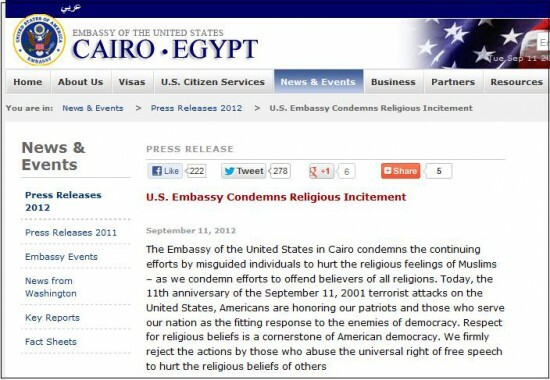 Barry Rubin scorns the video as a "phony excuse for the demonstration" in Egypt. Michael Ledeen upbraids the administration for claiming "that attacks against Americans aren't attacks against Americans at all, but attacks against a video." "It is not about a video," writes Andrew McCarthy, "any more than similar episodes in recent years have been about cartoons, teddy-bears, accidental Koran burnings, etc." Hussein Haqqani dismisses the protests as a "function of politics, not religion." For Victor Davis Hanson, the video and similar incidents "are no more than crude pretexts to direct fury among their ignorant and impoverished masses at opportune times against the United States, and thereby gain power." Lee Smith speculates that "blaming the video is part of some complex public diplomacy campaign." Cliff Kinkaid flatly calls the video "a diversion intended to save Obama's presidency." The person of Muhammad has acquired a saint-like quality among Muslims and may not be criticized, much less mocked. 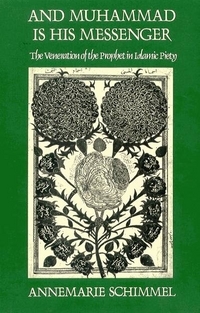 German orientalist Annemarie Schimmel pointed out (in her 1985 study on the veneration of Muhammad) that his personality is, other than the Koran, "the center of the Muslims' life." Outrage among Muslims over insults to his person is sincere; note, for example, the notorious section 295-B of Pakistan's Criminal Code, which punishes any defamation of Muhammad, even if unintentional, with execution. These regulations have so much support that two prominent politicians, Salman Taseer and Shahbaz Bhatti, were assassinated in 2011 merely for voicing opposition to Pakistan's blasphemy laws. Their murders had nothing to do with the West and certainly were not diversions in a U.S. presidential campaign. 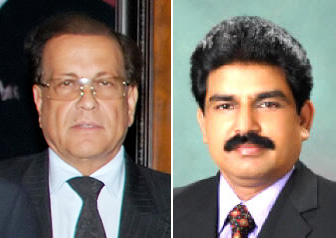 Salman Taseer (L) and Shahbaz Bhatti, two prominent Pakistani politicians, were assassinated in 2011 for their opposition to blasphemy laws. Obama vs. Morsi: The American and Egyptian presidents offered starkly different views on the freedom to blaspheme in their speeches to the United Nations last week. Barack Obama insisted that "in 2012, at a time when anyone with a cell phone can spread offensive views around the world with the click of a button, the notion that we can control the flow of information is obsolete. The question, then, is how we respond. And on this we must agree: there is no speech that justifies mindless violence." Mohamed Morsi disagreed: "The obscenities recently released as part of an organized campaign against Islamic sanctities is unacceptable and requires a firm stand. We have a responsibility in this international gathering to study how we can protect the world from instability and hatred." In brief, each side has an approach and method (free speech vs. prohibition of blasphemy) which it considers fundamental to its identity and forward with a certain reverence. Ever since the Khomeini edict against Salman Rushdie in 1989, each side intends to impose its way on the other side, suggesting that this clash of wills has just begun. Trends: As someone who's been watching that clash since Khomeini's time, I ascertain three main trends. First, Muslims increasingly devote themselves to the political imperative of preserving Muhammad's sanctity. Second, Western governments and elites (i.e., journalists, lawyers, intellectuals, artists) have become increasingly timid over time when facing Islamist fury, willing to apologize, appease, and placate; for one appalling example, see the U.S. embassy in Cairo's effusions on this Sept. 11, as a mob raged outside. Third, Western non-elites have increasingly responded to Islamists with a You-want-to-be-insulted-well-take-this! attitude that includes Koran burnings, "Defeat Jihad" ads, belligerently offensive French cartoons, and a promised roll-out of Muhammad movies. Oct. 2, 2012 update: Barry Rubin writes me to correct my including him in the list of analysts above: "I only mentioned Egypt on purpose. Everywhere but Egypt, where a demonstration was already planned and announced on other issues before the video was ever mentioned and Libya, where it was a terrorist attack, the video was a real factor. So I didn't disagree with you at all on your point."